Telent has over 30 years’ experience in delivering and maintaining railway station and operational communication systems. The company’s system engineering, design, project installation and maintenance teams are always seeking ways to drive operational efficiencies and reduces costs whilst striving for better safety. At Railtex, Telent will be demonstrating its in-house developed and proven maintenance and station management tools Arbitex, MICA and TRAMMS. Arbitex is a remote CCTV-monitoring platform that has reduced maintenance costs and increased asset reliability. Already in operation for TfL, it is currently being implemented as part of Telent’s major-stations CCTV contract with Network Rail. MICA is Telent’s station and asset management system that has been deployed across London Underground, at Reading and London Bridge stations and on Thameslink. It enhances communication, SCADA and building management subsystems, integrating CCTV, public address systems, passenger information displays, help points, fire and intrusion detection systems and more. Telent’s Transportation Maintenance Management System (TRAMMS) is an end-end maintenance management system that is designed to allow the monitoring and measurement of fault levels and trends across a wide range of assets in many environments. Through a single pane of glass TRAMMS allows open access to live information on faults: from reporting, through diagnosis and repair, allocation and management of field engineers and management information. Televic Rail will be introducing the latest version of its Cosamira condition-based maintenance technology, already in operational use across the globe. Cosamira 3 offers an even greater level of capability from more memory, increased measurement options and faster processing for real time, fully powered, continuous monitoring of bearings, motors, rail track, gearboxes and brakes. When combined with the Televic desktop software package and the Telvic Rail global support from offices in Europe, North America and Asia. Cosanira 3 now provides for the most comprehensive condition-based maintenance solution available. With over twenty-five years of real time SIL-rated bogie monitoring experience, this latest version of Cosamira builds on Televic’s knowledge to provide train operators with the ability to get a continuous view of the fleet status, using predictive analytics to ensure the full life of a component is achieved for maximum cost effectiveness by anticipating problems, optimising maintenance schedules and reducing downtime and cost. Train Bits & More (TBM) has provided value added passenger comfort services to train operating companies since 2009 and is a trusted partner across the UK rail network. 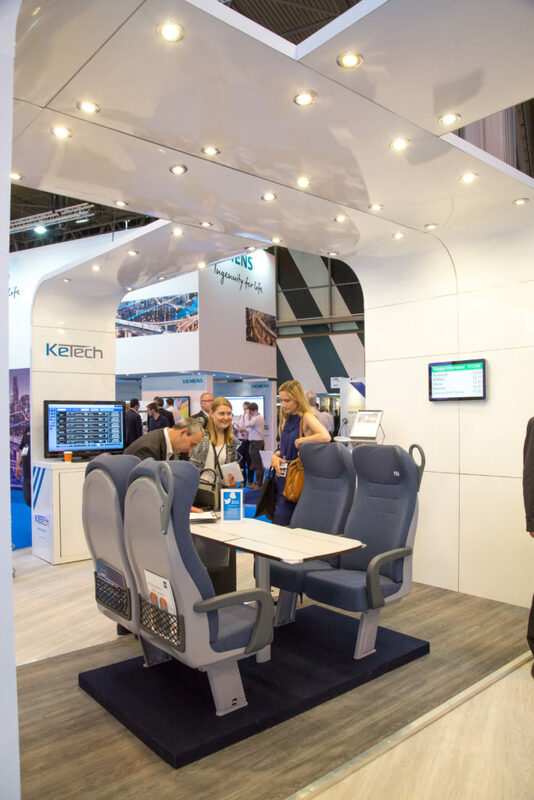 At Railtex, the team will promote toilet tank overhauls, seat cover cleaning, grab pole refurbishment and a range of other carriage fitting and upgrade options that improve the journey experience for travellers. 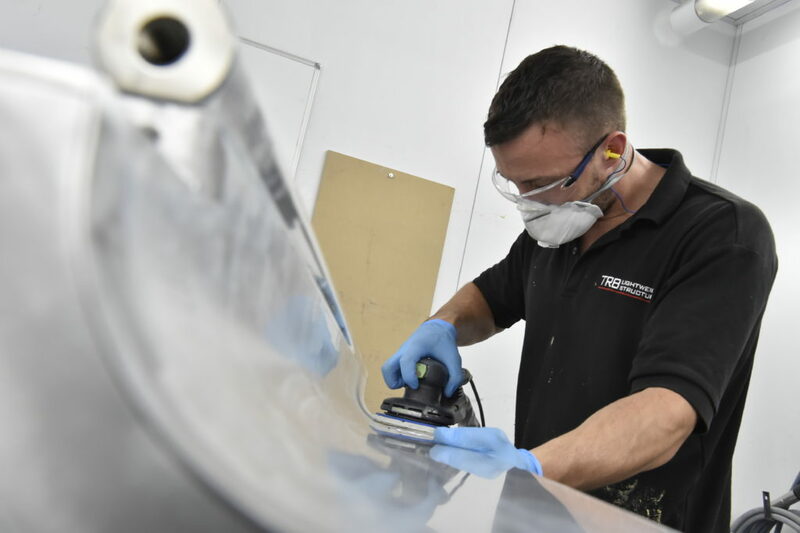 From its Crewe-based workshop, or at depots utilising mobile units, seating is cleaned and assessed for damage, refurbished and repaired, before being returned to customers – usually within 48 hours. TBM has cleaned over 300,000 seat covers, helping to maintain hygienic carriage environments and prolong the life of seat fabrics. Toilet systems are serviced and storage tanks emptied, with free tank assessments being offered. 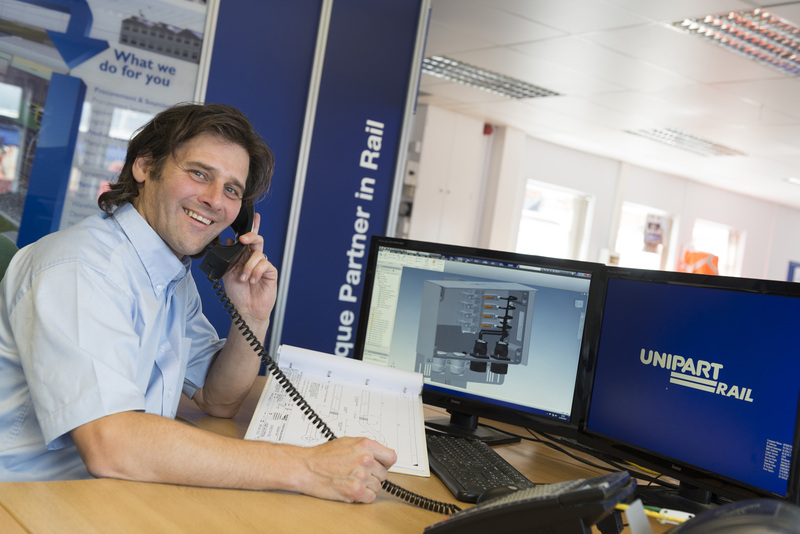 TBM also offers a range of partner services, including electrical sockets and USB charge points for carriage interiors where a bespoke solution is required to retro-fit vehicles. 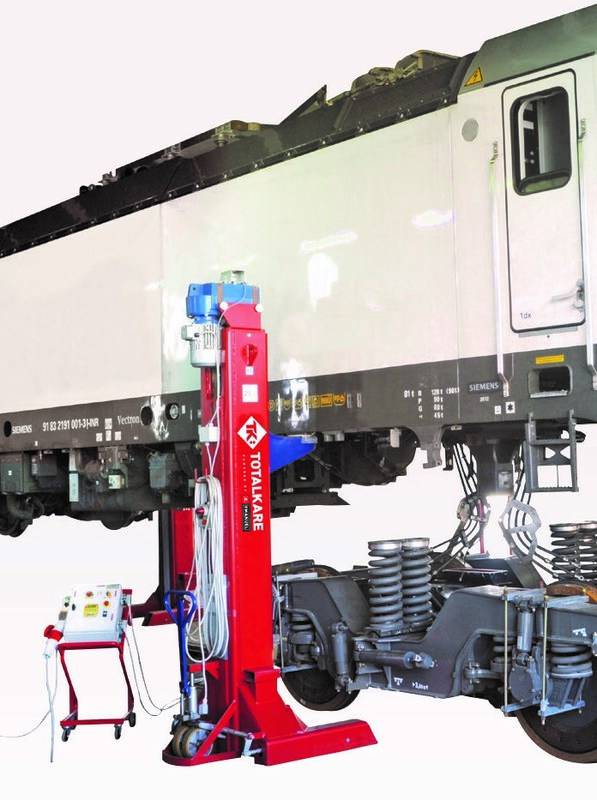 TotalKare, the UK’s leading provider of heavy-duty vehicle lifting solutions, is taking its expertise into the rail sector after signing an exciting deal with Emanuel, harnessing the expertise of the Italian-based manufacturer to expand into the sector by introducing railway lifting jacks to train operators. Available in a range of lifting capacities from 5,500 – 50,000kg, the lifting jacks can be configured in sets of 4 to 128 and are supplied to meet Machine Directive 2006/42/CE and approved to European EN1493. Easily customised, the jacks can lift any rolling stock, from wagons and carriages through to complete trains, providing a safe, flexible and comfortable position for repair & maintenance operatives. 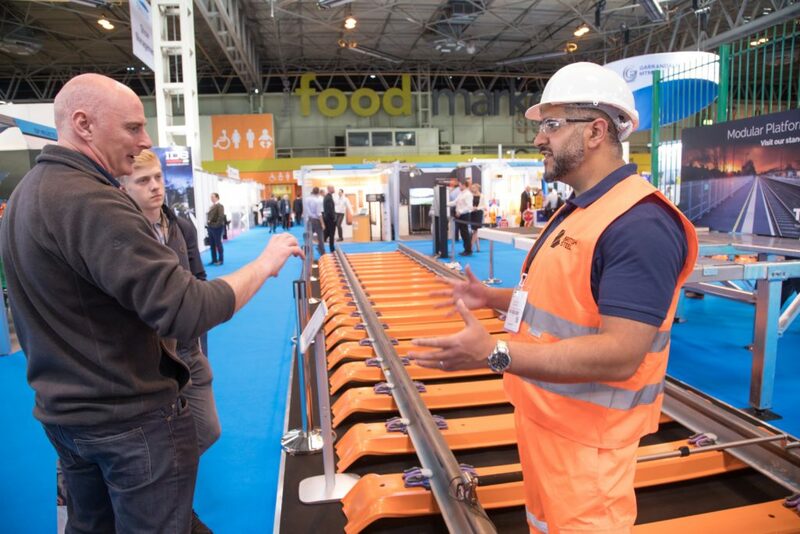 TotalKare’s partnership with Emanuel will be showcased for the first time at Railtex, where visitors to the Birmingham NEC event can see railway lifting jacks on display at their L81 stand. Alberto Manzini of Emanuel added his support: “We have an excellent relationship with TotalKare based on transparency, understanding and a mutual desire to deliver the best possible customer service to our clients. TRB Lightweight Structures is a Tier 1 supplier to both UK and European train builders, providing high-quality, lightweight solutions that include passenger doors, detrainment doors, composite door leaves, catering modules, bike storage areas, universal access toilet modules, structural partitions, train manager offices, and magazine racks. The major long-term benefits from aerospace-strength composites have driven leading manufacturers, such as Airbus and Boeing, to design and build the latest commercial aircraft – the A380 and B787 Dreamliner – with more than 50 percent of their structural parts made from advanced composites. The composite system primarily specified for commercial aircraft is a honeycomb prepreg composite laminate produced in an autoclave. This material is extensively used for interior applications including side-walls, ceiling and floor panels, galleys, toilets and partition walls as well as for exterior applications, such as wing sections, flaps, ailerons, antenna radomes, access panels and doors. Rail is poised to make the same sorts of gains in operating efficiency, performance and lifecycle cost benefits by using advanced technology composite materials for the next generation of high-performance trains, which need to be lighter, faster, more energy efficient and cheaper to maintain. To meet these new materials needs, TRB Lightweight Structures has increased its composites design and manufacturing facilities, added certifications and hiring more people, so that TRB is now able to help rail vehicle manufacturers take advantage of the significant benefits gained from using advanced composites. TRB is not driven merely by profits, at the heart of the business is the desire to have a positive impact on the environment. Reducing weight in the rail industry by using composite materials will ultimately lead to a reduction in energy consumption, which is why TRB is in the composites industry. However, TRB Lightweight Structures does not want to stop there. It is also looking to develop, source and use sustainable materials where possible. One such discovery is a revolutionary new ‘Bio’ composite pre-impregnated system that combines high strength fabrics with a bio-based resin system. Extracted from the natural waste bi-product obtained from the manufacture of sugar, this resin is non-toxic and does not use volatile organic solvents. It can produce an extremely light and hard-wearing composite assembly capable of meeting GM/RT 2100 rev 5 combined with exceptional fire resistance to EN45545-HL3 (BS 6853 Category 1A). Another material TRB has used in the construction of some of its lightweight solutions is a foam made from 100 per cent post-consumer PET. 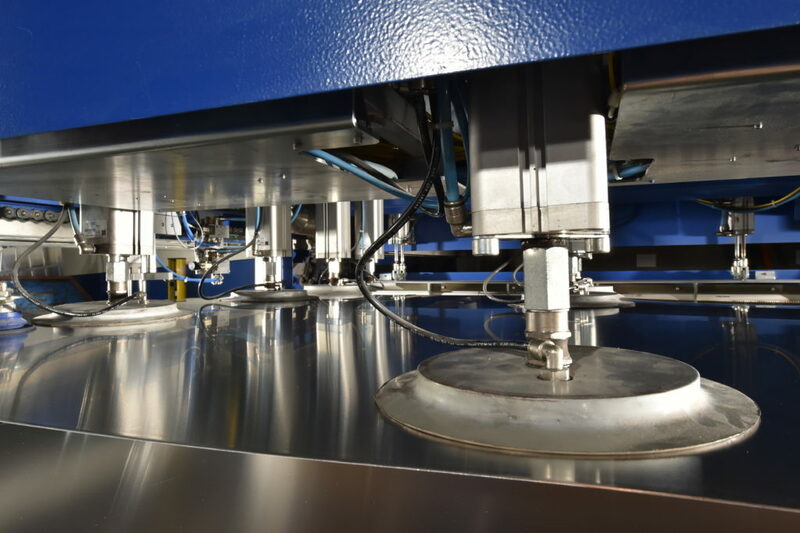 This enables TRB to offer a real green alternative to standard PET foams and other foam core materials currently used in railway applications and highlights its ambition is to lead the way with a bio, non-toxic alternatives to the carcinogenic materials currently in the market. TSP Projects is an award-winning, multi-disciplinary solutions business that provides a full range of services from consultancy, design and engineering to on-site project management. Its headquarters is in York with offices in Manchester, Birmingham, Reading and Bristol, as well as a brand-new office in Toronto, Canada. With over 420 staff across the country, TSP Projects has a portfolio of award-winning work. The company’s sectors include rail, energy, aviation, security and construction, with multiple disciplines such as architecture, geotechnical, track and more. High-profile projects include the redevelopment of King’s Cross station, Reading station area redevelopment, the Thameslink programme and ‘Energy from Waste’ facilities in Cardiff, Leeds, Staffordshire, Suffolk and Oxfordshire. Modular platform extension projects include West Drayton and Langley station, amongst many others. TSP Projects is dedicated to working in close partnership with clients, delivering high quality, innovative and responsive solutions to meet individual requirements. Turbo Power Systems (TPS) will have two of its cutting-edge auxiliary power units (APU) on its stand at Railtex. One of TSP’s recent innovations – its ultra-efficient APU developed for London Underground – will be on display. This lightweight and compact unit is built with a natural cooling system to improve energy savings and reduce maintenance requirements. The APU uses cutting-edge SiC technology for increased efficiency and a lower carbon footprint. Also showcased will be one of TSP’s flagship projects, its innovative APU for Monorail. This APU has been designed, tested and validated for monorail platform, while it brings a modular approach to component placement for efficient maintenance and minimal downtime. To book an appointment to meet us with TSP during the event, or for further enquiries, please contact Ioana Briciu from the marketing team on marketing@turbopowersystems.com. TSP looks forward to meeting you! 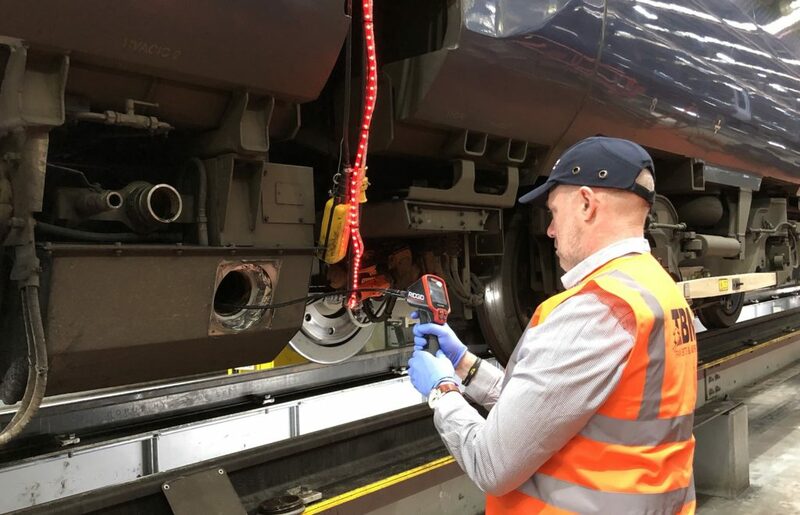 Unipart Rail will be showcasing services and technology from across its businesses, demonstrating its capabilities in supply chain solutions and showing new innovations in train safety, power control, signalling, transit and storage, rail plant, train presentation and condition-based maintenance. With expert teams on hand, visitors will be able to discuss how the innovations work and interface with rail systems. An Augmented Reality model train will also be on the stand so they can see how some of the larger products work. For visitors with an operational, supply chain or financial background, Unipart will be bringing its Virtual Reality Experience where they can experience (and interact with) the transformation of a depot using specialist skills. The supply chain has a significant impact on costs, operational risk and on-time delivery of infrastructure and rolling stock, whether it’s new-build or maintenance activities. And finally, the Condition Based Supply Chain will be at the heart of Unipart’s stand = its vision for to deliver the future supply chain for the rail industry. 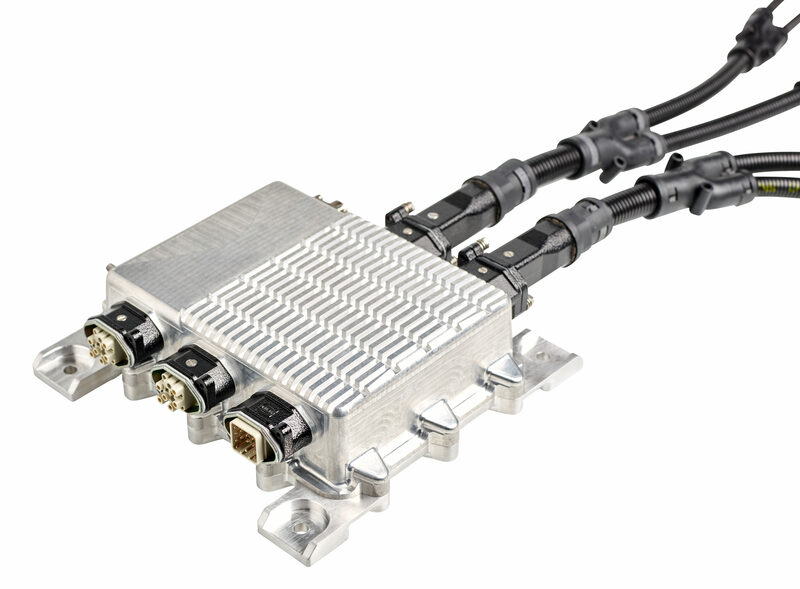 Viper Innovations is showcasing CableGuardian, winner of the 2018 Institution of Engineering and Technology (IET) Intelligent Systems Innovation Award, at Railtex 2019. CableGuardian is a comprehensive cable condition-monitoring and fault-finding system, which monitors insulation and conductor health within a signalling power supply network. The system consists of sensor units, distributed across principal power supply-points and functional supply-points, communicating via a secure internet connection to the cloud-hosted CableGuardian data storage and analytics system. 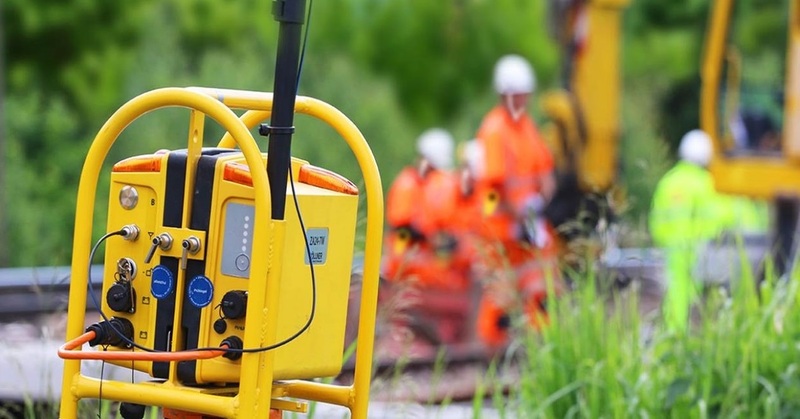 Developed in collaboration with Network Rail, CableGuardian provides monitoring at the level of detail required, breaking away from the traditional limitations of insulation monitoring devices which offer only a single resistance measurement for the complete network or, at best, feeder level monitoring. 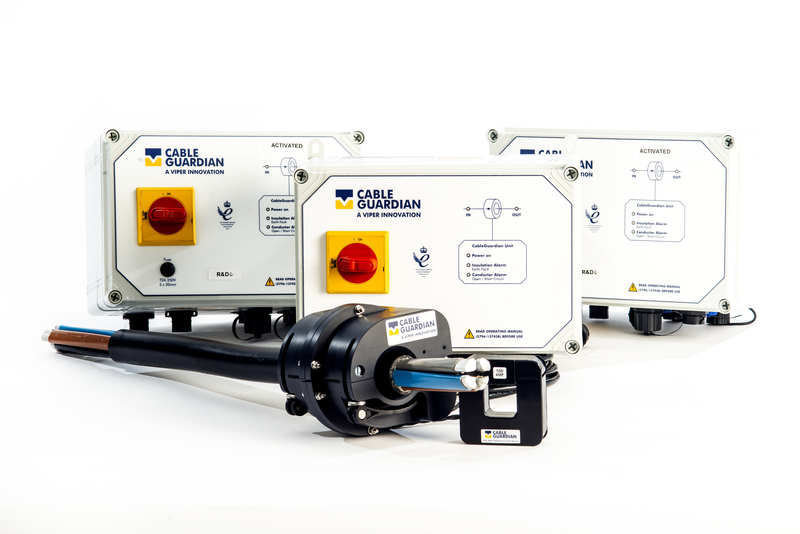 CableGuardian is the only system that offers Tier One adherence to the Network Rail Insulation Monitoring Device standard NR/L2/SIGELP/27725, which recommends monitoring of feeders at a cable section level. Voith components and systems for rail vehicles provide efficiencies at higher speeds and improved comfort coupled with maximum reliability. The company’s service portfolio is customised to client requirements, covering maintenance, system upgrades through to spare parts supply. Additional benefits when partnering with Voith, include knowledge and long-term experience in developing and producing key components. This year, Voith will showcase the RailPack 500, an energy-efficient component providing maximum power density, designed for new build and refurbishment projects and which is perfectly suited to diesel electric/hybrid applications. Also being presented for the first time in the United Kingdom, is the Voith Rail Engine, the most advanced and efficient diesel engine of its class on the market. The exhaust after treatment system developed meets the upcoming European Stage V emissions regulations. Zöllner has been developing, producing, and selling automatic warning systems for track worksites since the 90s. If a track vehicle approaches a construction area, the Autoprowa® system warns all people working on the track area with a warning signal that is automatically adjusted for the ambient noise level. The Mobile Radio Warning System (MRWS) warns personnel working on track worksites reliably from approaching rail vehicles. It makes use of the latest, innovative radio technology: optimised audibility, safety, and reliability as well as high availability and flexibility. All radio components are in bidirectional contact with each other, thereby ensuring optimal communication. The modules of the system can be combined and thus allow for efficient operation in every situation. Zöllner UK provides equipment sales as well as technical support training, a hotline, servicing, repair and recalibration. We have, of course, only listed some of the exhibitors that will be at Railtex. There will be many things for visitors to see, some of them unusual, many of them interesting and all of them with experts on hand to talk about them. As is described elsewhere, Rail Engineer will be arranging the Technical Seminar programme. In addition, the Knowledge Hub, organised by the Railway Industry Association (RIA), will present a programme of talks on opportunities for the supply chain, the Rail Sector Deal, diversity and Rail Baltica (Tuesday), equal opportunities and working with academia (Wednesday) and decarbonisation, innovation and HS2 (Thursday). RIA will also be running the Future Focus Conference on Wednesday 15 May, covering the key challenges and opportunities the UK rail will face in the coming years. 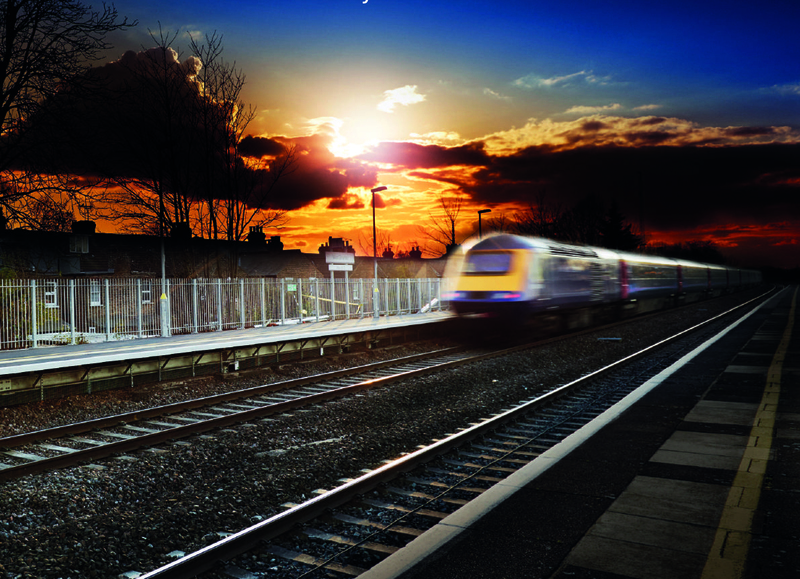 So there will be plenty to see and do at Railtex. Come and see us on stand C60 and start there!